ANYWAY, Shuto Con! This is the first of the conventions on our list of shows we're just "visiting" as guests. Due to Random Battle Con, our badges got upgraded to VIP, which.... since we're not big on concerts and signings, we got to get into the dealer hall early and I got to shop at the artists ahead of time. :) Which is my favorite place to go. Okay! Here we go with the reacap! End-of-day Sunday, but about average for traffic at low times. 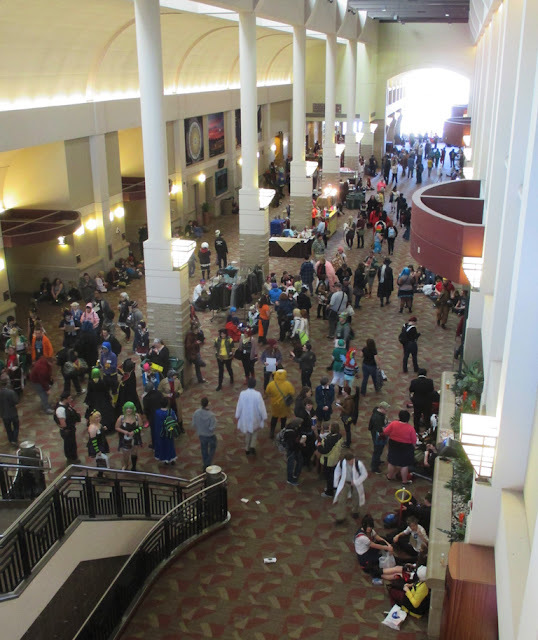 Shuto Con takes place at the Lansing convention center, and once again has made themselves a "closed campus". As an artist, I really enjoyed this as it meant my bathroom breaks didn't take forever to navigate to. But I liked it even MORE as a general attendee. Between the closed campus (can't get in without a badge), they have rules set in place that you can only meet in large groups in the hall for X minutes - really taking down the random dance parties/games/conga lines which while fun for y'all, I don't get it. Also, I think they cut down on the random instrument playing which was nice? This also meant that you didn't have random people wandering into the convention, and it was much easier to get into things like the game room. HEY GUESS WHAT I DID A LOT! I actually went into the game room *coughplayedhalocough*, and I wasn't scared. I even went out at night on Saturday to play games, and I WASN'T TERRIFIED of the crowds. So props to you Shuto Con, you made a convention I can finally go be social at! 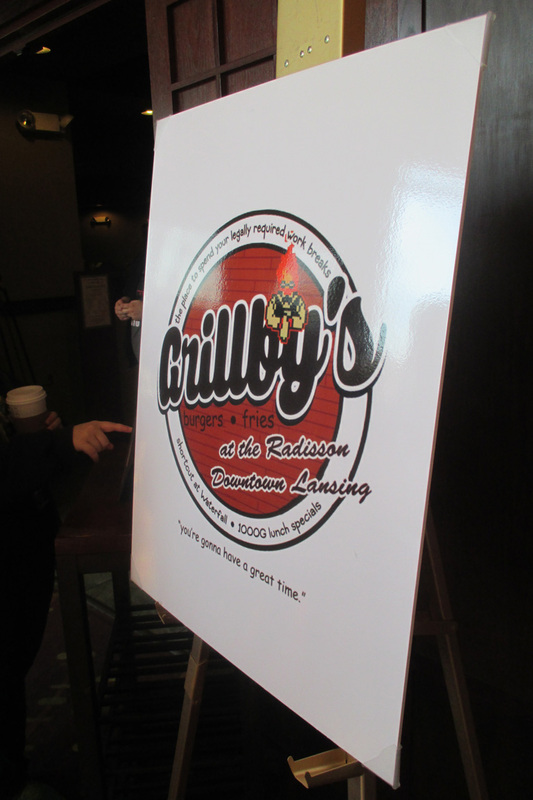 They renamed the restaurant to "Grillby's" (after the restaurant in the game Undertale - which by the by was everywhere at the convention this year). I took a pic because I found it entertaining. Honestly, being an attendee, and partially still recovering from stuff, I got tired really quick. I went as Torchwick on Friday, but got out of that within hours as I could not see anything and it was the day I wanted to focus on shopping. (I also had 3 hrs of sleep due to really stiff beds, but not your fault Shuto). Went as Pyrrha in the morning because a RWBY photoshoot was takin' place and Jaune said "hey you should". 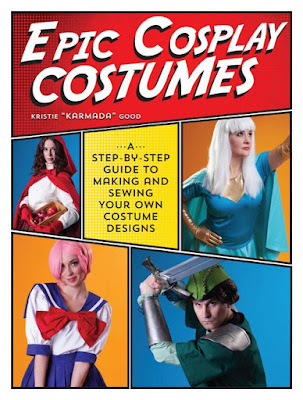 ANY EXCUSE TO BE PYRRHA I'LL TAKE. Later that day we changed into armor, and went around the convention - Yes we even played Halo in our armor (I'm working on finding if anybody took pics of that. :P). 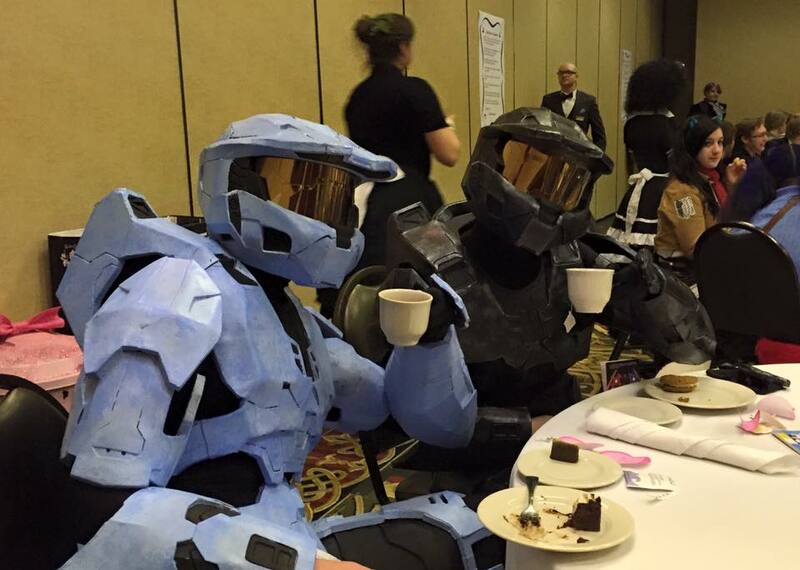 I may have had us go to the Maid Cafe in armor. EXCELLENT COOKIES. I wussed out on Sunday and just went plainclothes because my body was in the worst of pains. I lost all my stamina, and had a hard time walking around that day. SORRY GUYS. Gave 4 panels over the weekend, and had lovely turn out! Got a lot of good questions, along with asking about things like a Podcast. I'm workin' on it. I'm just REALLY SUPER SHY YOU GUYS. I'll let you know when I get stuff decided. 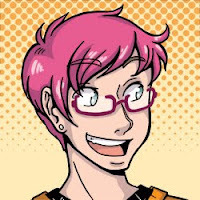 Also, next year, I vow to have the Tales from the Tabletop be 2 hours long - y'all had a lot of questions! Overall, I had a great time as an attendee. Would I do it all the time? Probably not, I'm used to keeping myself busy with artist alley tables or panels, but I'd definitely consider doing it again. It was a nice, relaxing way to start the convention season.